We at the new Metamora Herald Online would like to start sharing some of the old copies of the paper with you all. Our town has a rich history, with lots of documentation made available in old editions of the Herald on microfilm in the Metamora library. 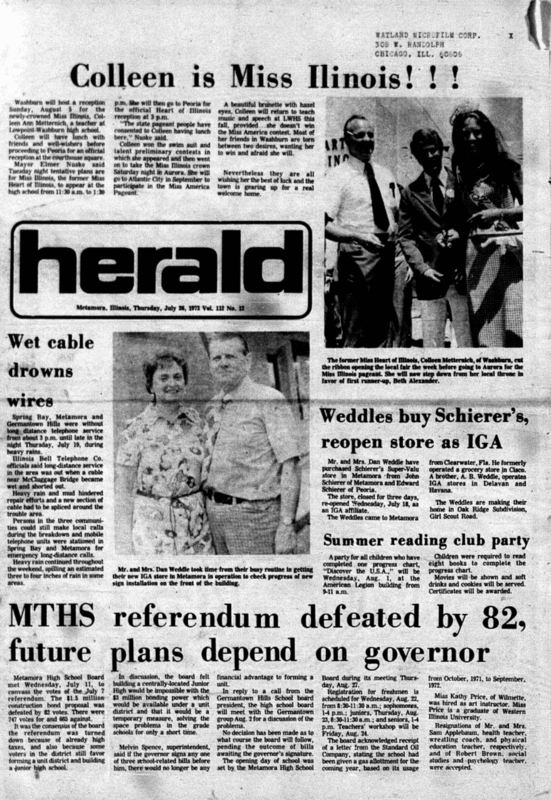 Enjoy this front page from the summer of 1973. Don't hesitate to make a request for specific issue to you would like to see.